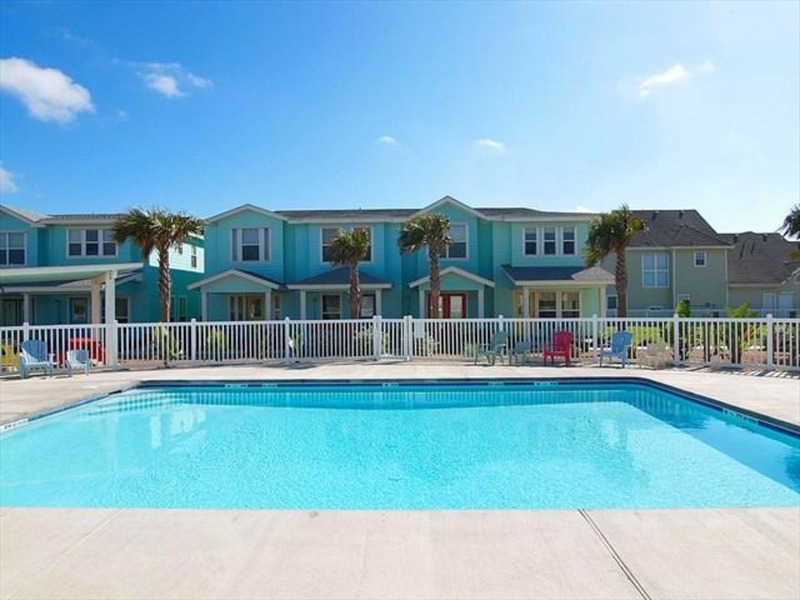 This 3 bedroom, 2.5 bath condo at the Commons was built in 2007 and is ready to make your vacation at the beach a memorable experience! 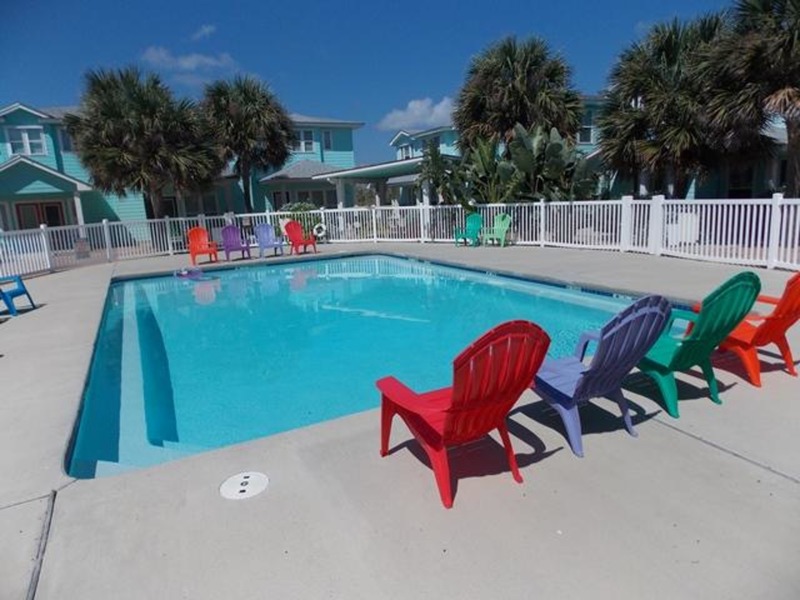 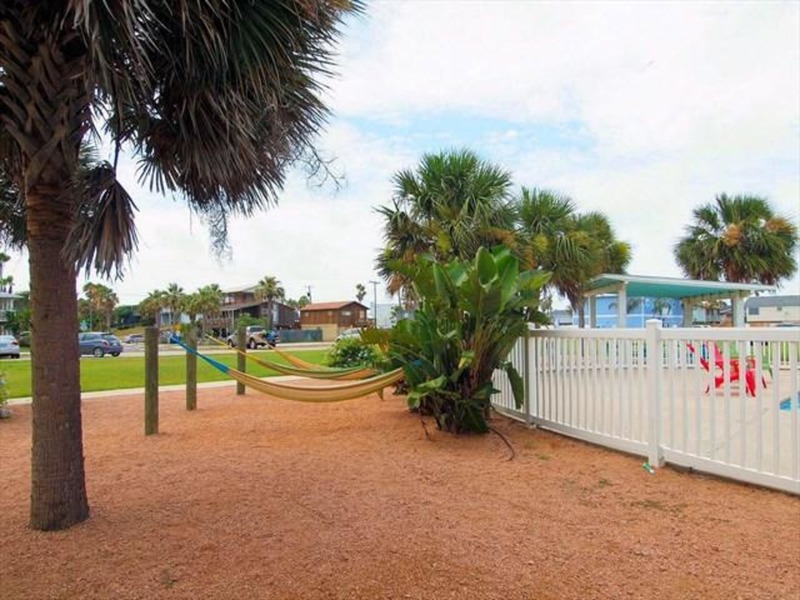 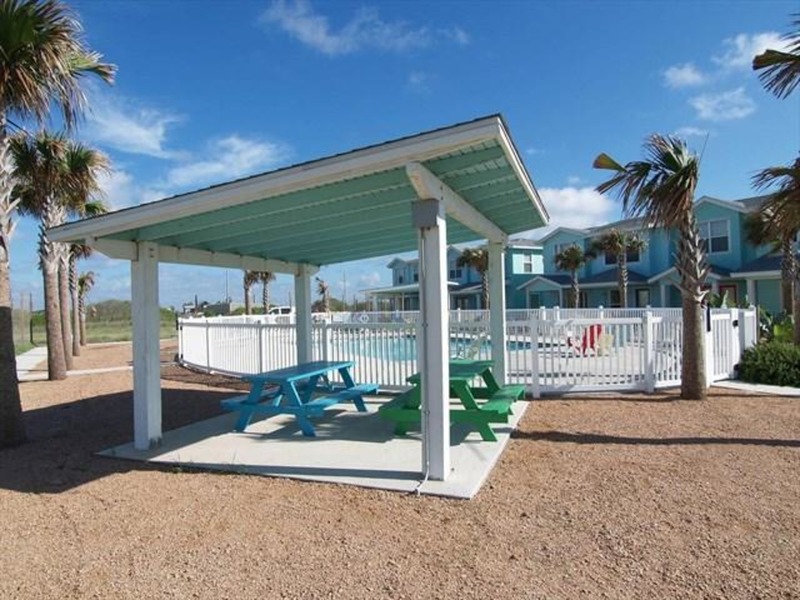 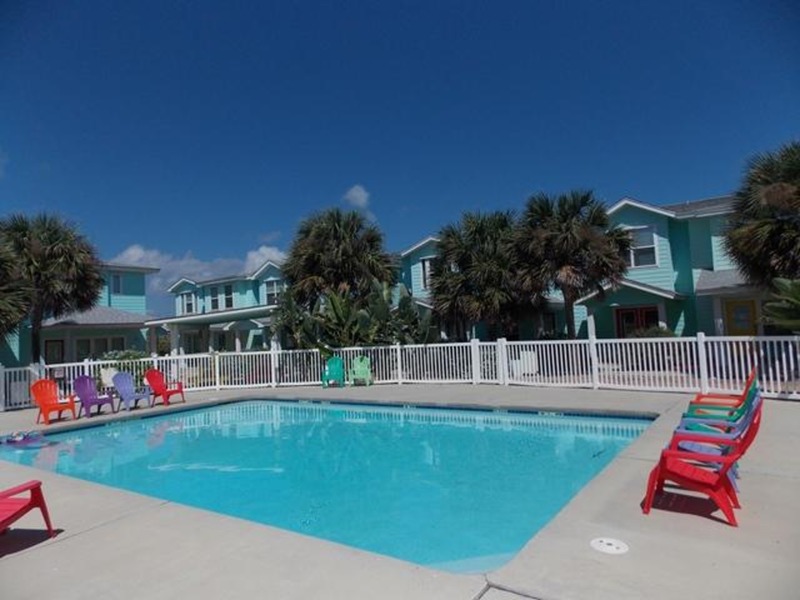 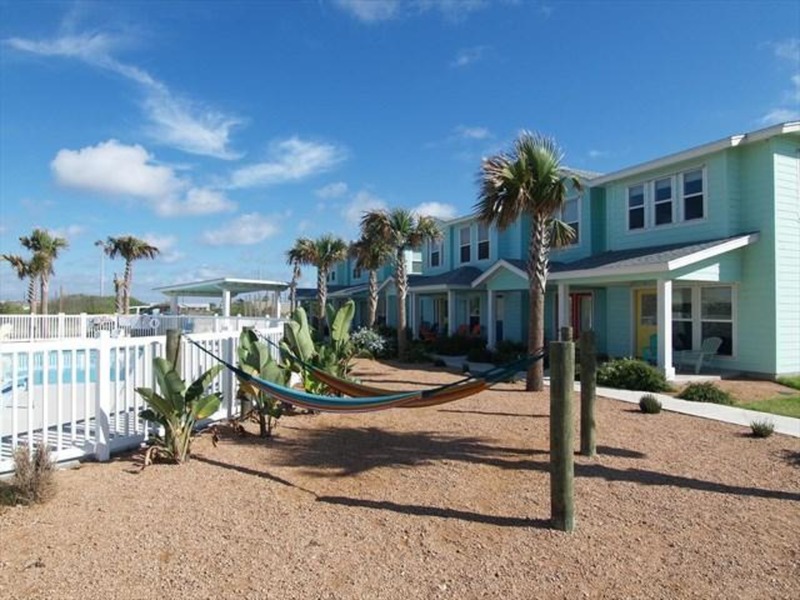 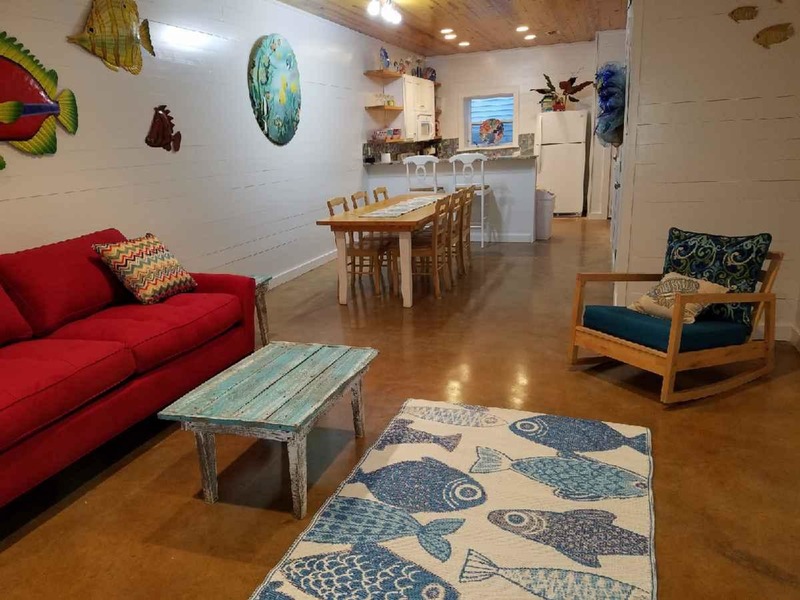 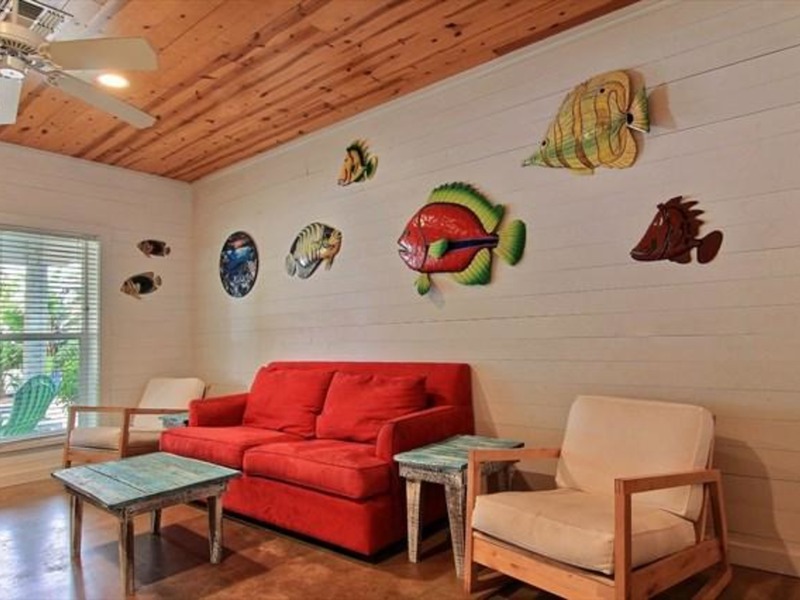 Located along 11th Street and just a short drive to the beach, the complex offers some great amenities including a wonderful swimming pool, picnic and BBQ areas, hammocks to lounge in and beautiful tropical landscaping. 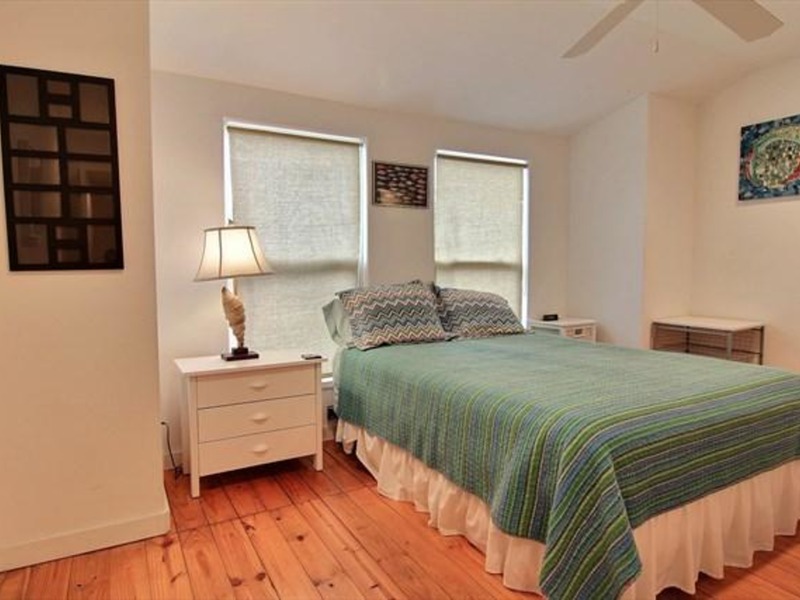 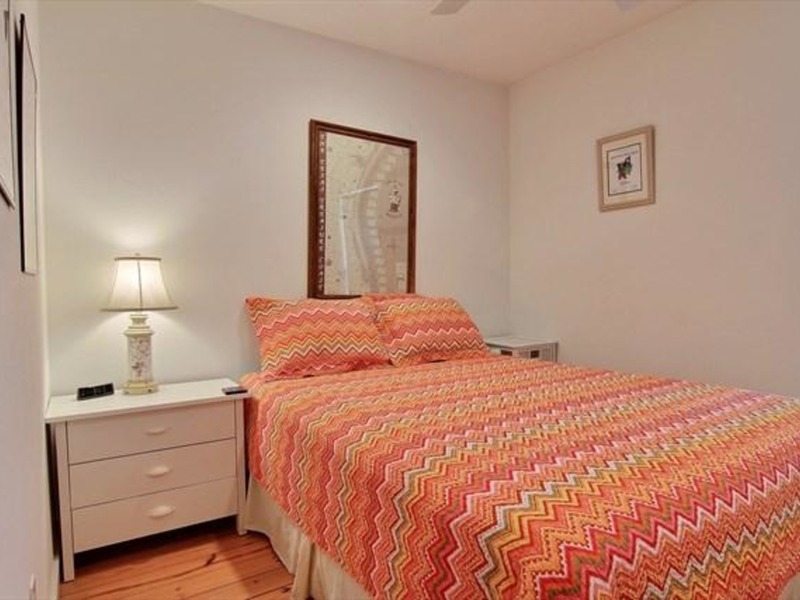 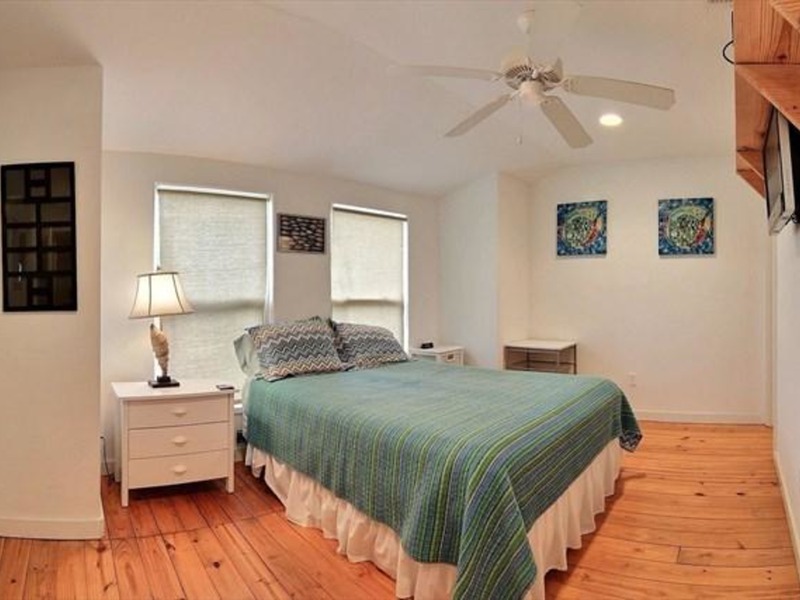 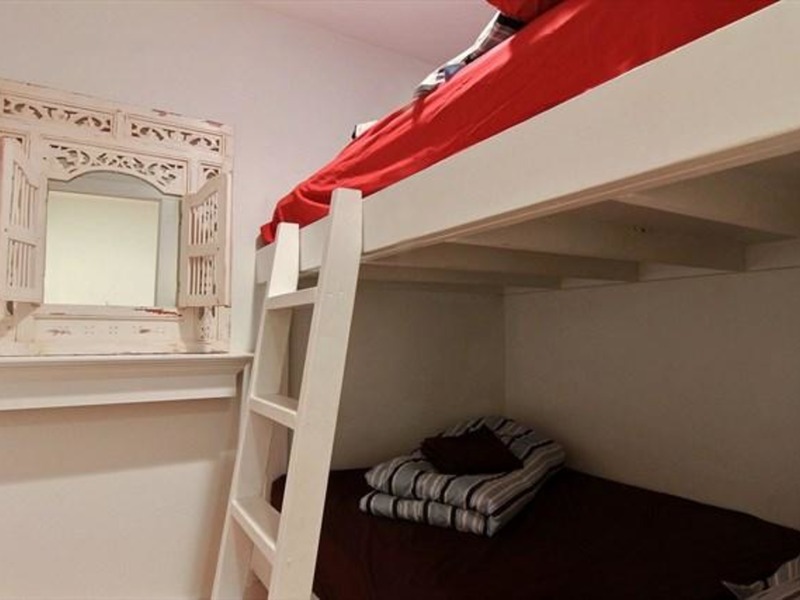 This property can sleep up to 10, with queen beds in two of the bedrooms, full-over-full bunk beds in the third bedroom and a sleeper sofa in the living room. 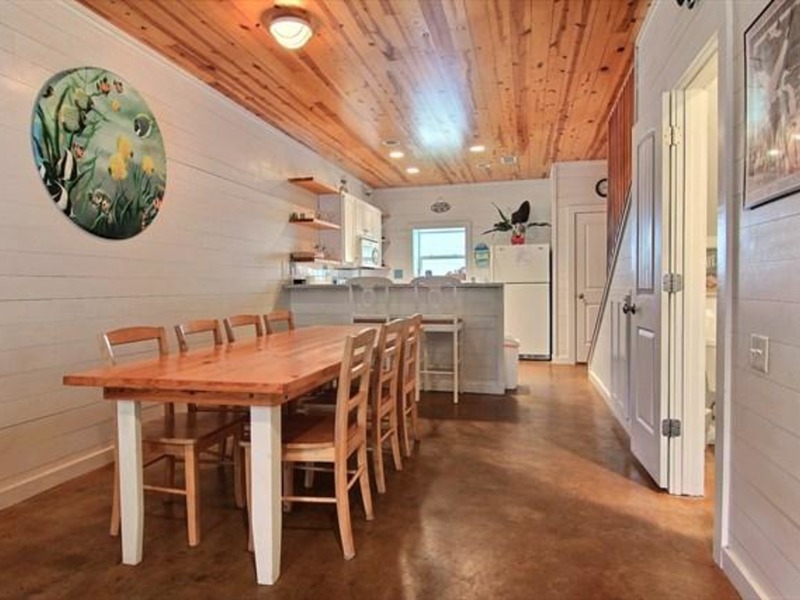 There is stained concrete floors throughout on the first floor and wood floors throughout on the second floor. 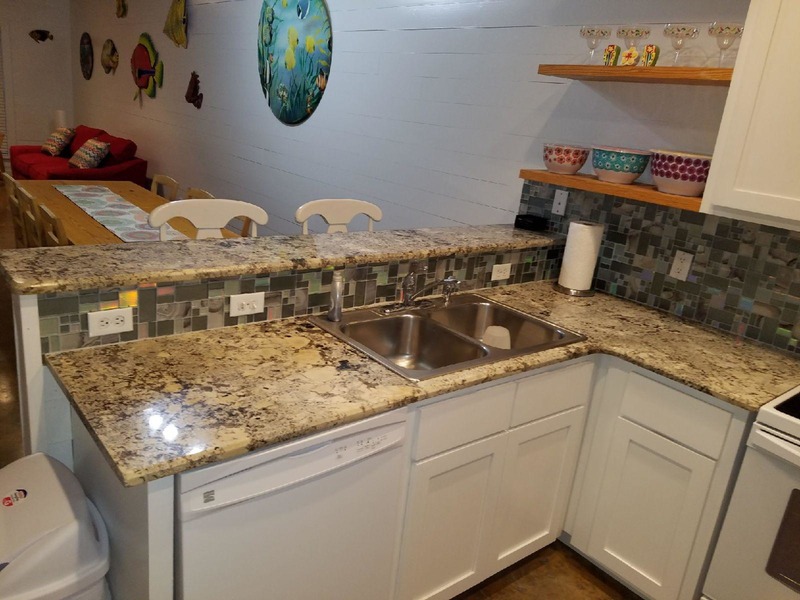 The kitchen is fully equipped with all the comforts of home. 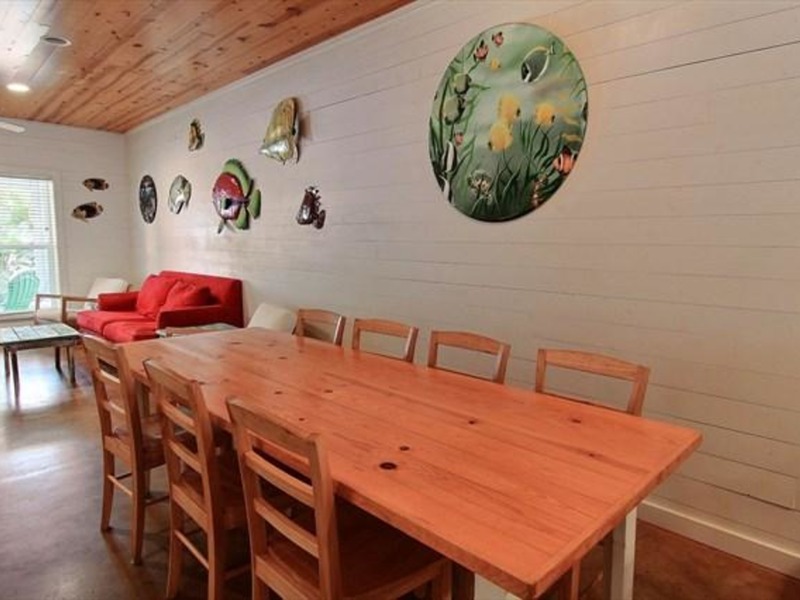 Plenty of space for eating with a large dining table and breakfast bar. 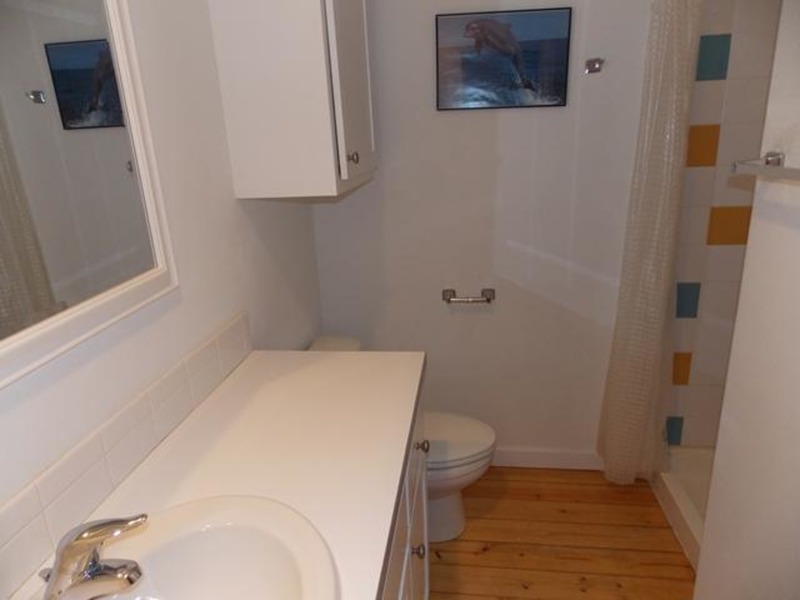 There is also a private stackable washer and dryer and free wireless internet provided. 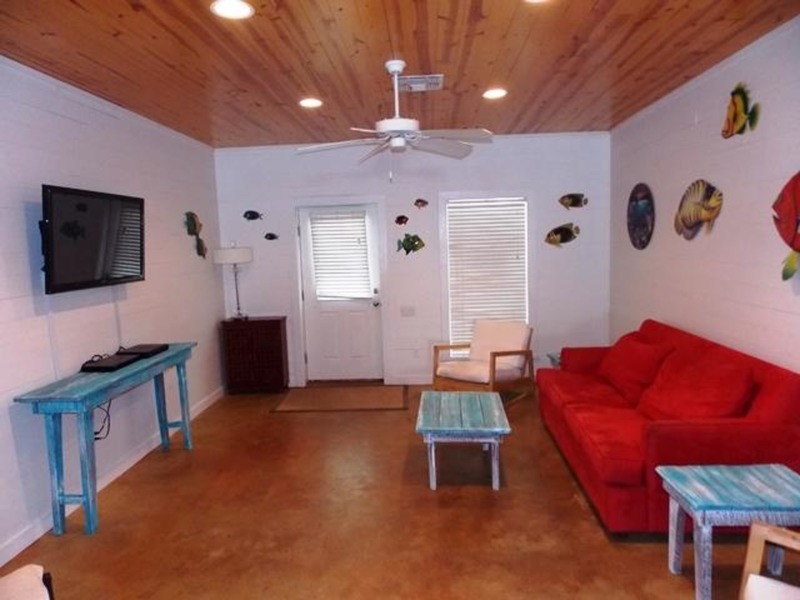 The living area and two of the bedrooms feature Directv satellite television. 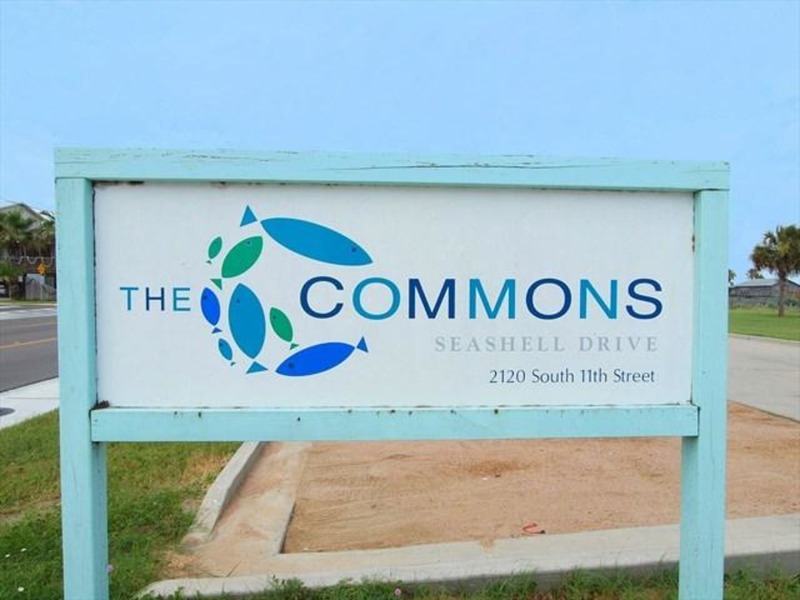 All units at the Commons are built with sturdy construction and extra thick walls so you can enjoy a peaceful atmosphere during your stay. 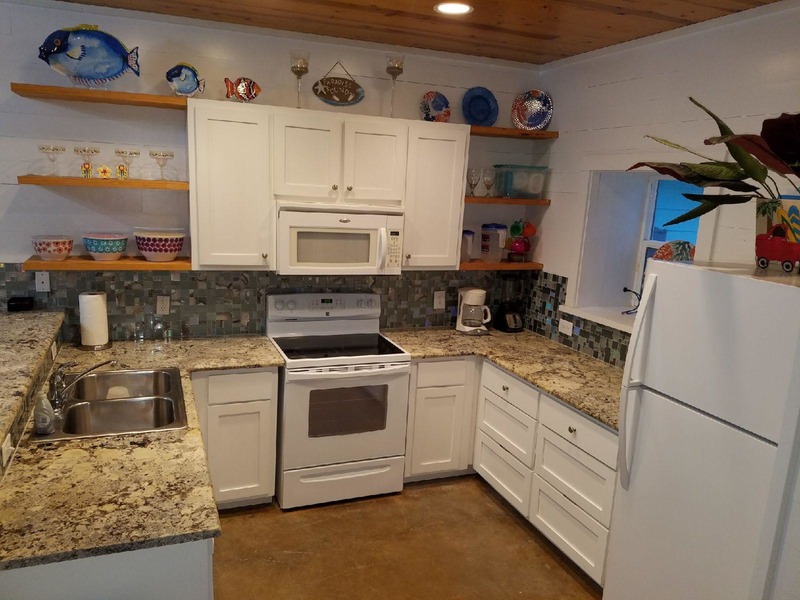 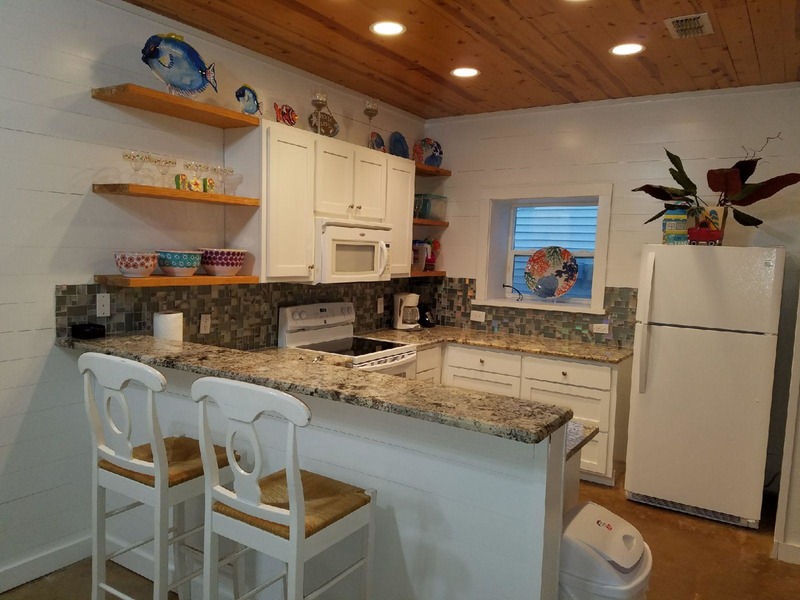 Other amenities include Air Conditioning, BBQ Grill area on site, Blender, Ceiling Fan(s), Coffee maker, Community Pool, DVD Player, DirecTV satelite television, Flat Screen TVs, Wi-Fi, Fully furnished kitchen, Microwave, Oven, Patio Furniture, Private Patio, Refrigerator, Toaster, Washer & Dryer. 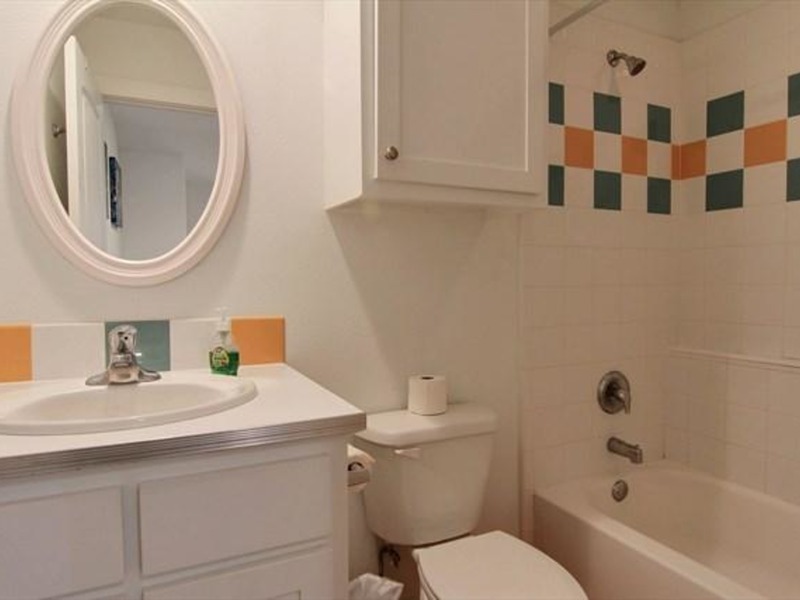 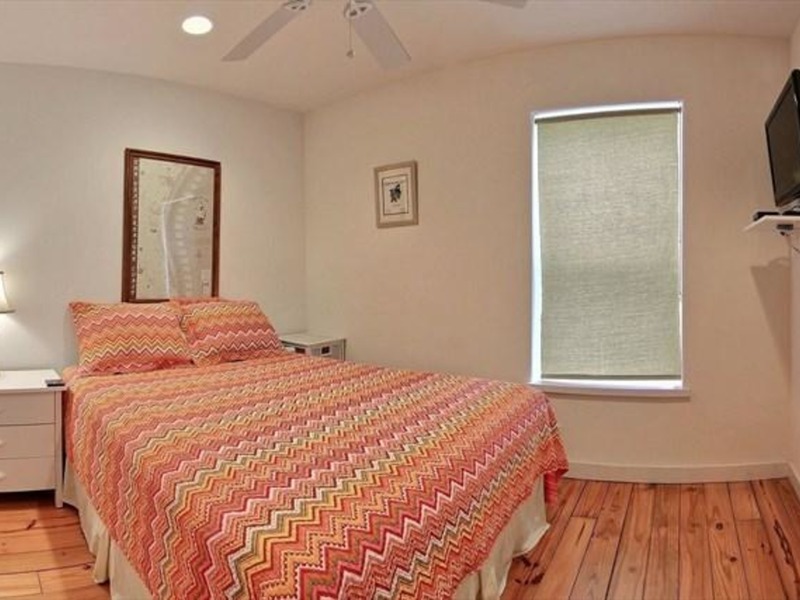 Square Footage: 1292 Square Feet.